It takes a lot of manual work to produce a high-quality tea, except in Japan, where they have designed incredibly sophisticated machines. 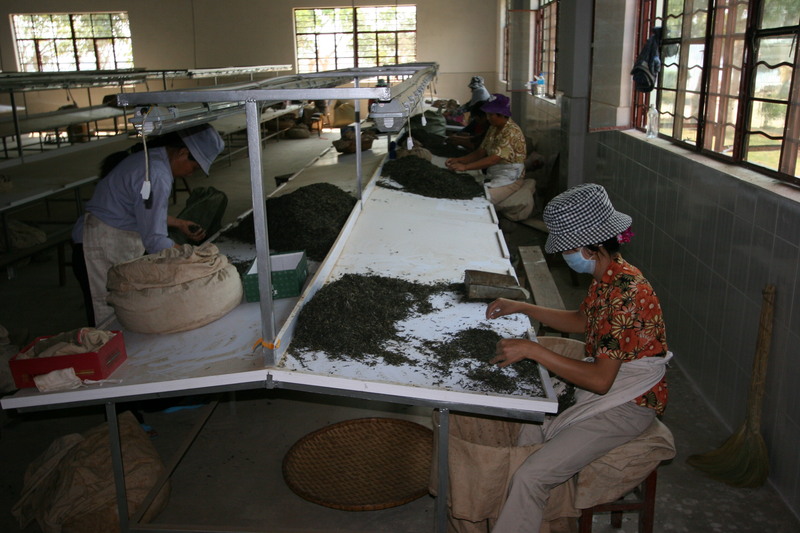 Tea leaves are sorted one by one, like here, in China. 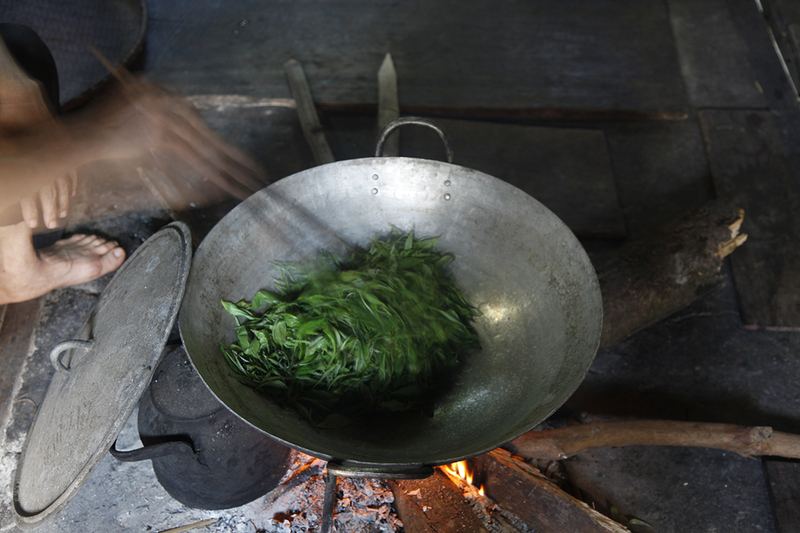 This is done for any tea worthy of the name; in other words, whole-leaf, good quality tea. This leaf-by-leaf sorting eliminates tiny pieces of stem, as well as any coarser leaves. 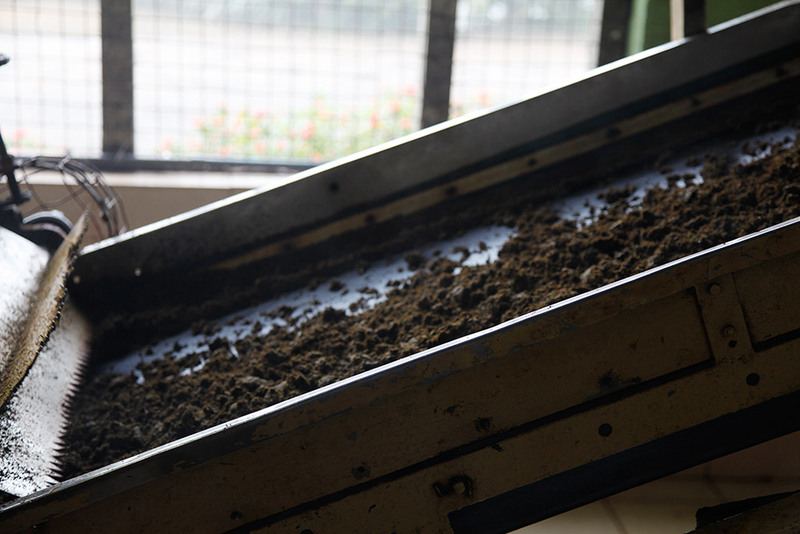 It is also an opportunity to remove the occasional insect: tea plantations are living environments, and the presence of weeds and insects can be a sign of good farming practice. While you’re brewing your tea, you can’t always imagine how much work has gone into it already, with the harvesting and processing of each little leaf. 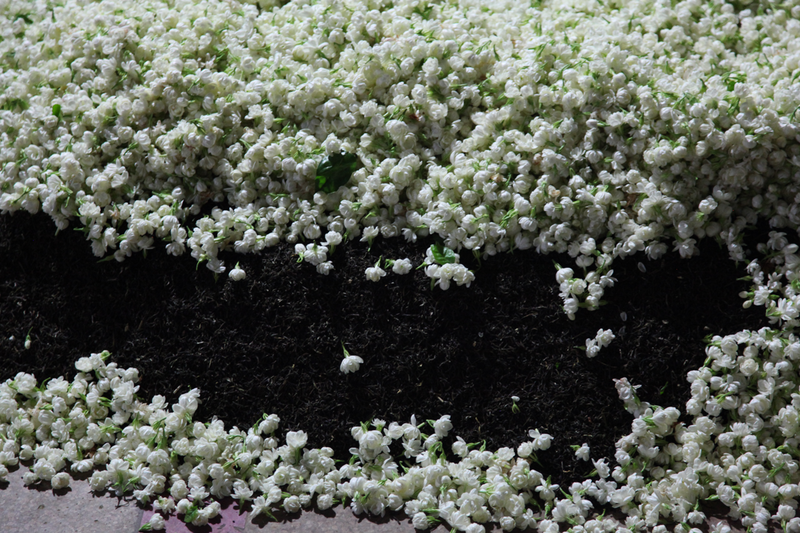 The manual sorting, done leaf by leaf to remove any stems, is just as painstaking. 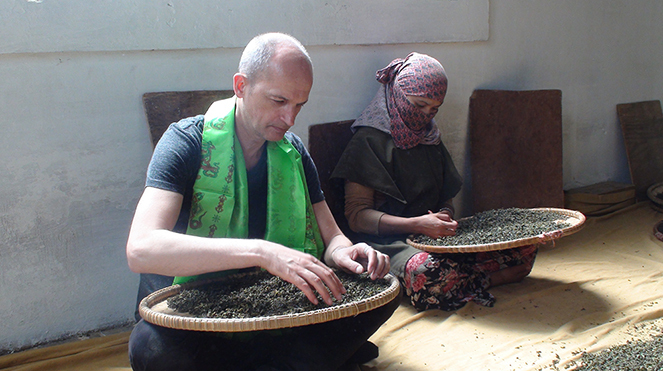 It is difficult to imagine what tea processing involves in terms of expertise and refinement. 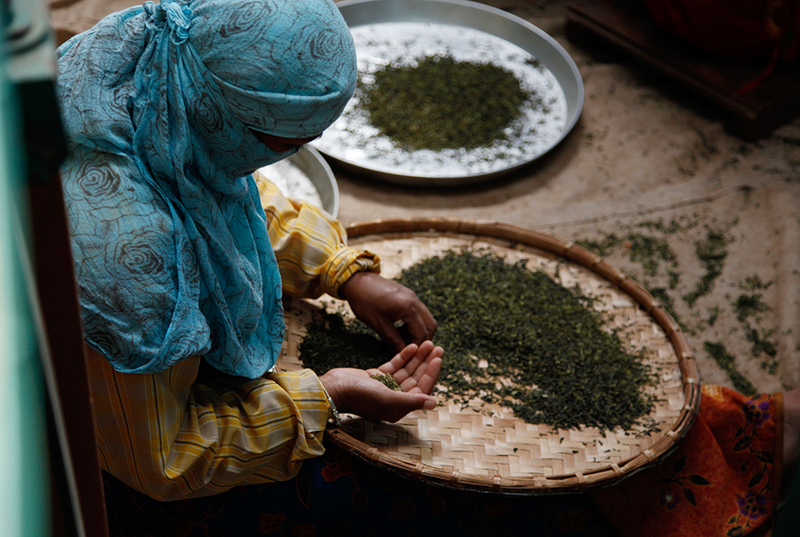 Here, for example, the production process has been completed, and this woman is going through the leaves one by one to remove tiny stems and other imperfections. 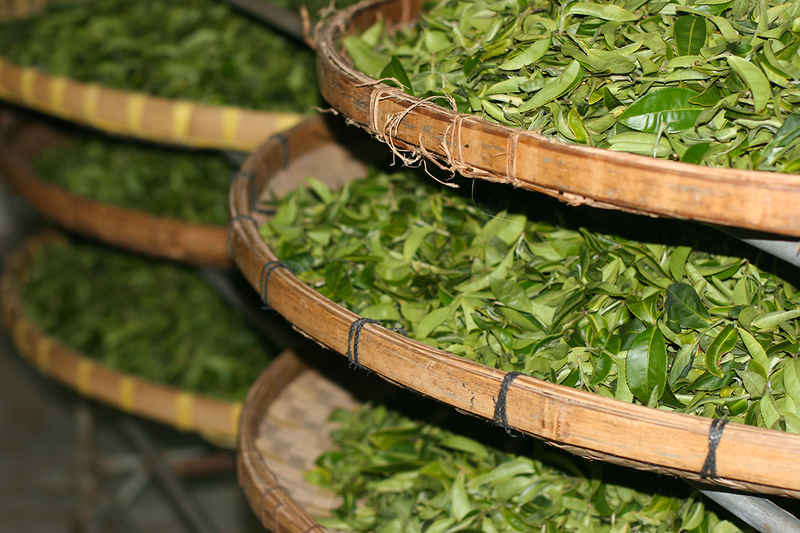 When you read tasting notes on Darjeeling teas, you learn that the leaf can be more or less rolled, depending on the batch. This is what the rolling looks like. As soon as the leaves have finished wilting, on the upper level of the building, they are dropped (see photo) into this container, which has a press. Rolling, as it is performed in Darjeeling, takes just a few minutes. 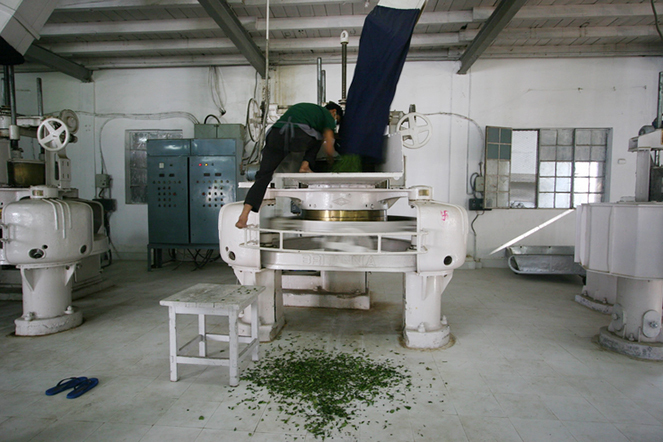 It prepares the leaves, by lightly crushing them, for the following stage: oxidation. 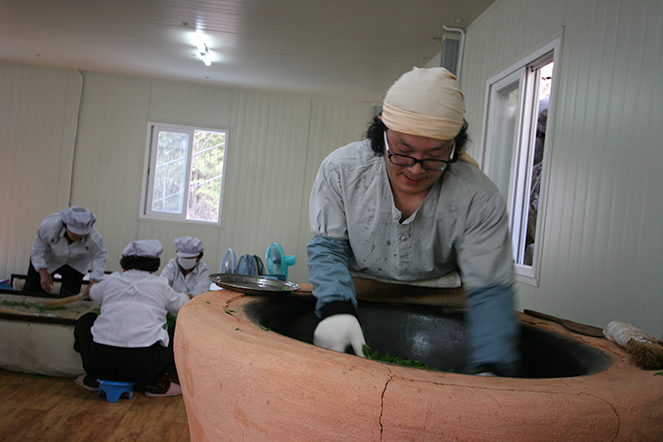 In China, the finest jasmine teas in the world are produced at the end of the summer. They come from Fujian province. 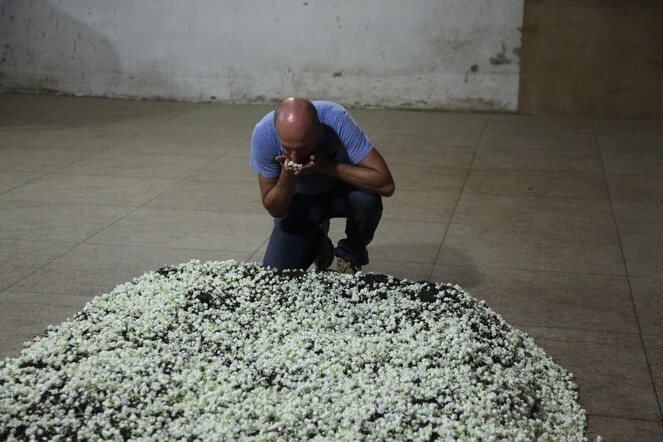 The tea and flowers are combined at night, because the jasmine flower is special in that it waits until the evening to open and release its incredible fragrance.